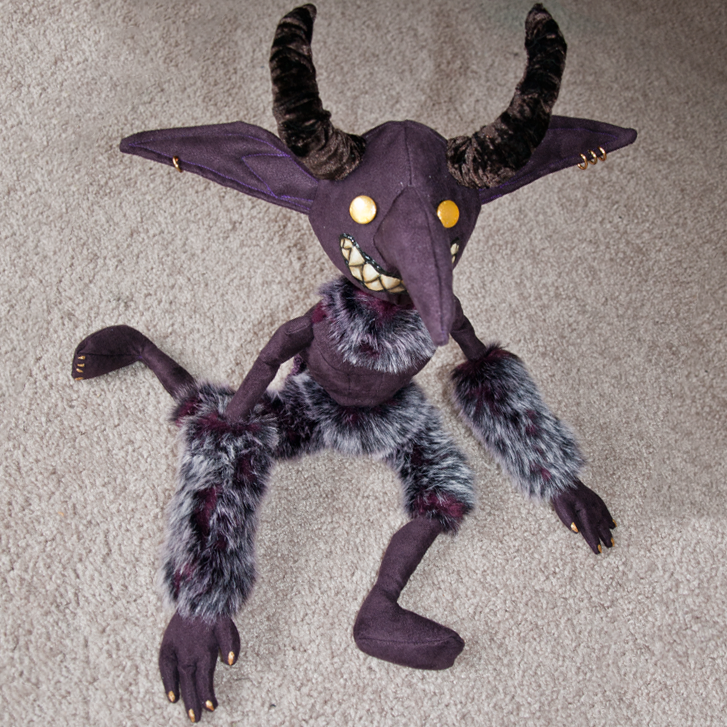 Custom imp plushie based on World of Warcraft pet. Made with upholstery suede, and while a much more difficult fabric to make plushies from, helped provide a stiffer, more defined anatomy. 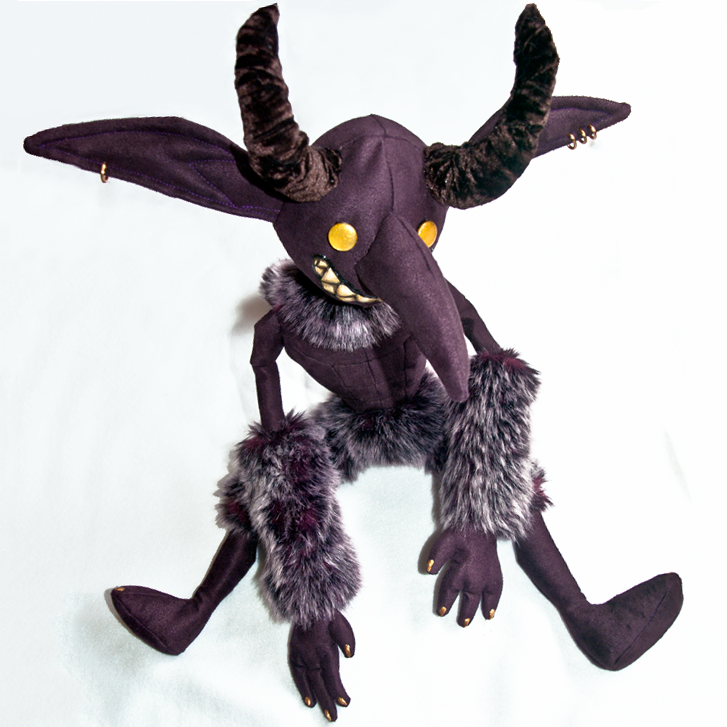 Faux fur is high quality and makes this guy extremely soft and huggable. 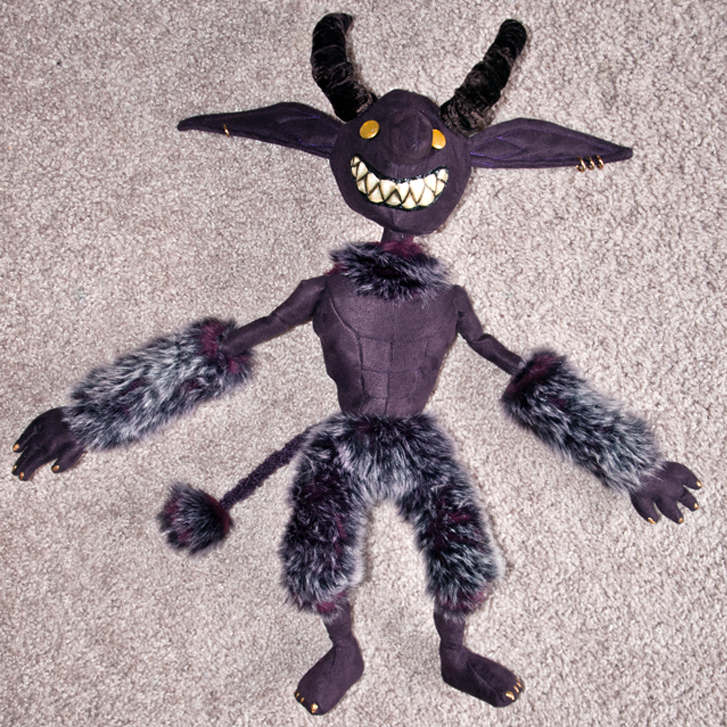 Torso and arms are sewn to include muscles. He also has individial fingers with painted gold nails. Eyes are custom painted and finised with a clear acrylic top coat for protection and realistic shine.